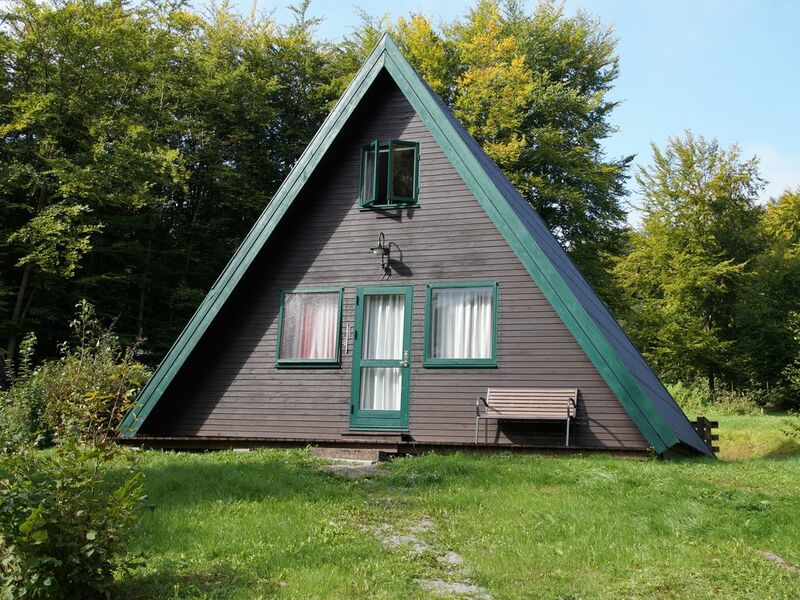 We rent our newly renovated Nurdachhaus in the holiday park "Am Twistesee". The house has 6 beds distributed on a double bed in the EC and 2 x 2 single beds on the floor. Bedding is available, but bedding, sheets, towels and tea towels are required. We offer a new fitted kitchen with convection oven, ceramic hob, 2 refrigerators, extractor hood, kettle, coffee machine and much more. A dishwasher is not available. The bathroom is newly renovated with shower and toilet. The house has a flat screen TV and a radio-CD Stereoanlange. On the large sun terrace you can enjoy the tranquility of the forest and nature. It is a non-smoking house and unfortunately pets are not allowed. The holiday park has a very nice playground with jungle gym, slide, etc. There is also a barbecue area. The Twistesee offers a (within walking distance) beautiful sandy beach with restaurants, toilets and showers, a water ski facility, boat rentals and much more. At the entrance to the holiday park is a miniature golf course and right next to the holiday park a "real" 9-hole golf course with all the trimmings. In Bad Arolsen (about 5 minutes away by car) there are good shopping and very good restaurants for all tastes. At the rental price is a flat rate of 2, -EUR per day / person for water, electricity, gas and Wi-Fi, which is paid locally. The final cleaning is 40, -EUR and will be paid on arrival at the keys. Sehr nettes Haus mit allem was man braucht. Auch wen im Winter, der Twistetal im Winterschlarf ist. Hatten wir trotzdem schönen Aufendhalt. In dem Haus war alles vorhanden was man für eine Woche braucht und wir haben uns sehr wohl gefühlt. Das Haus ist sehr sauber modern und freundlich eingerichtet. In dem Haus gibt es drei Schlafzimmer. Einziges Manko ist, dass zum spülen wirklich wenig Platz ist. Aber das ist nichts, was viel ins Gewicht fällt. Met twee vrienden in dit huisje een weekend doorgebracht. Een hartelijke ontvangst, een goed ingericht interieur en een prachtige omgeving. Prijs- / kwaliteitsverhouding uitstekend. Een aanrader.